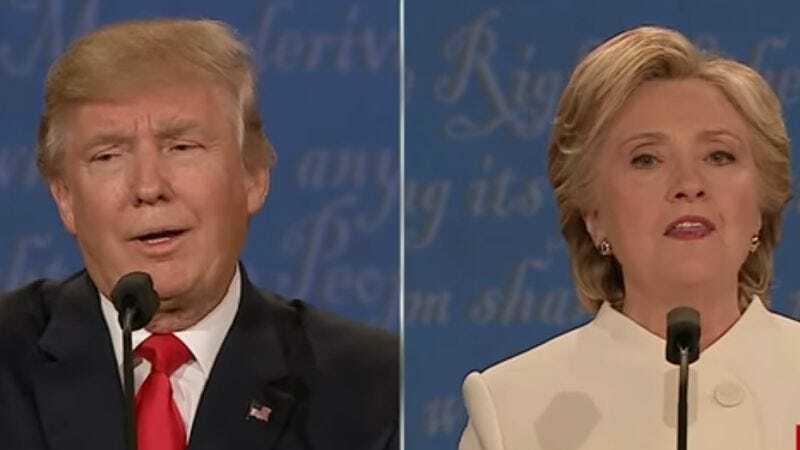 In one of the defining moments of Wednesday’s third and final presidential debate, real estate mogul Donald Trump referred to his opponent, Hillary Clinton, as “such a nasty woman” while she was talking about raising taxes on the wealthy. Social media users pounced on that particular turn of phrase, citing it as yet another example of Trump’s toxic misogyny. But, very quickly, something else started happening: Clinton supporters began reclaiming the term “nasty woman,” wearing the intended insult as a hard-won badge of honor. The sexist slur soon became a T-shirt slogan and omnipresent meme. One particular Clinton fan, New Yorker Jeff Meltz, took the extra step of buying the domain name nastywomengetshitdone.com. Users who type that URL into their browsers will find that it redirects to Clinton’s official campaign website. This was such a clever turnabout that some social media users assumed that Clinton’s own team orchestrated it. But, no, it was done by a concerned bystander with no official ties to the Clinton campaign. Meltz, who works in social media, has been modest in discussing this achievement. How appropriate that this phrase should resurface (in mutated form) eight years later, as Clinton is poised to become America’s first female president.